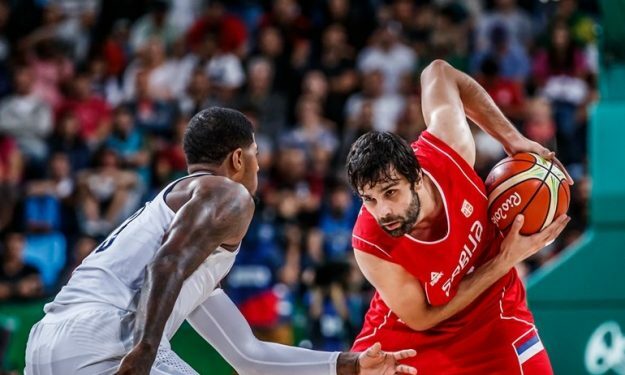 After a great tournament in Rio, Milos Teodosic’s possible NBA future is a question often mentioned in the US. And of course Teodosic himself spoke on the matter. It’s not a secret that Teodosic has a contract for next year with CSKA Moscow, however as he explained to “Sportski Zurnal” newspaper there’s at least a desire to explode the NBA possibility in the future: “I was always thinking about what would be to go there, to get a different feel about basketball which is in many ways different from the way things are in Europe. But I have another year on my contract with CSKA and this season I will not think about the NBA. When the time comes, we’ll talk”. Still he was flattered specially by coach Mike Krzyzewski’s comment on him: “When a coach like him says a series of compliments, you must feel nice. But now what’s on my mind is to continue winning in the upcoming season”.